OTTAWA -- When the armistice that ended the First World War was signed and the guns fell silent on Nov. 11, 1918, Canadians wearily celebrated what they hoped was the start of a new era of peace. For thousands of Canadian veterans, however, -- particularly those wounded by bullets, shells or gas attacks -- a far different battle loomed: the fight with Ottawa for support and benefits. But there was a heavy financial cost that came with fielding such a large force -- a cost that Ottawa initially believed would be covered by London, but which would later be borne by Canadians and result in a $2-billion deficit by the end of the war. The ensuing years would see the emergence of influential veterans' organizations demanding Ottawa increase its support -- and their sheer numbers ensured the government had no choice but to listen. 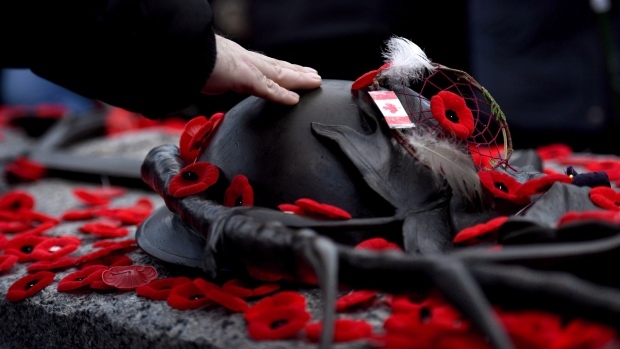 The reality, says Wilfrid Laurier University historian Mark Humphries, an expert on mental health among veterans since the First World War, is that there is no real answer to the moral question because society -- and veterans' needs -- are constantly changing.